When it comes to any profession in the world, being active and up to date will always increase your chances of landing your dream job! 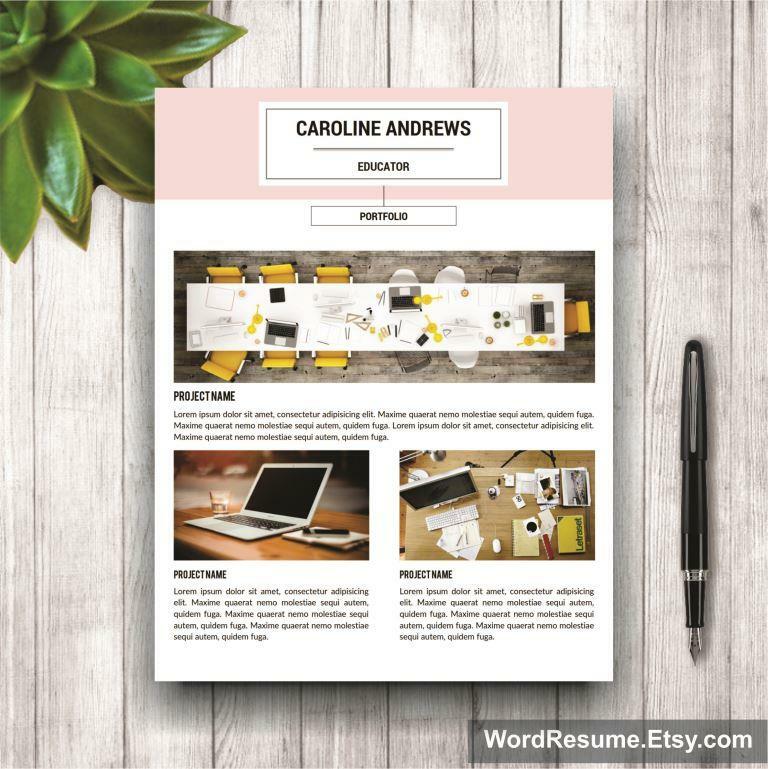 Resume Template + Cover Letter and Portfolio for MS Word – Caroline Andrews is a CV form which offers the ability to show off your modern and contemporary touch. It alerts the reader since it sets you apart from other applicants with its pleasing to the eye colors and designs. 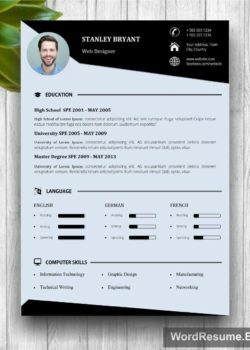 We will provide you with fonts and color pallets to make your skills and experience boost as these are keywords for Applicant Tracking System. 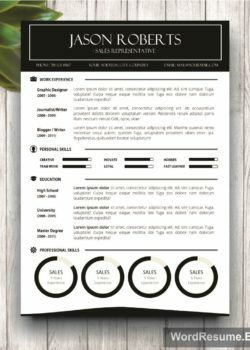 Strike an attitude with this stylish CV form, since the right template can make it or break it. It is the first contact with the employer, so make it the one to be remembered. You can impress them even more on your deserved interview once you send your resume out into the world. A powerful CV means a powerful candidate for the position. 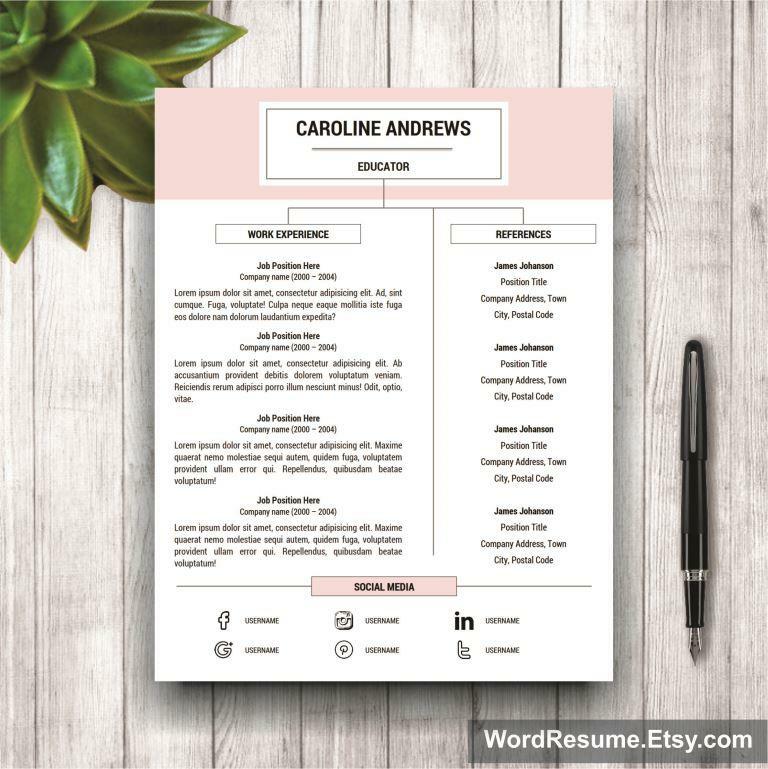 Changeable colors and sections are always a desired feature for any job seeker since it is a chance to individualize the CV which has never been easier. 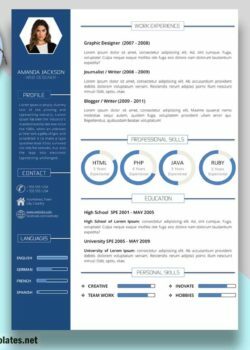 With our creative and stylish Resume Template for MS Word – Caroline Andrews, it will no longer take you hours to write and customize your curriculum vitae. 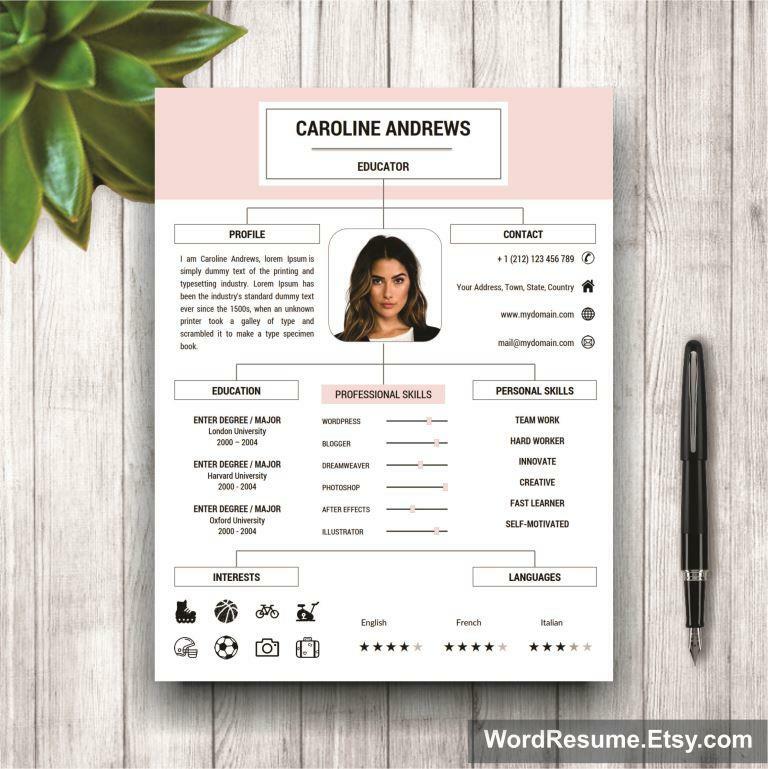 Turn on your PC, download the resume form, type in your content and get ready to receive phone calls with time and place of your interview! 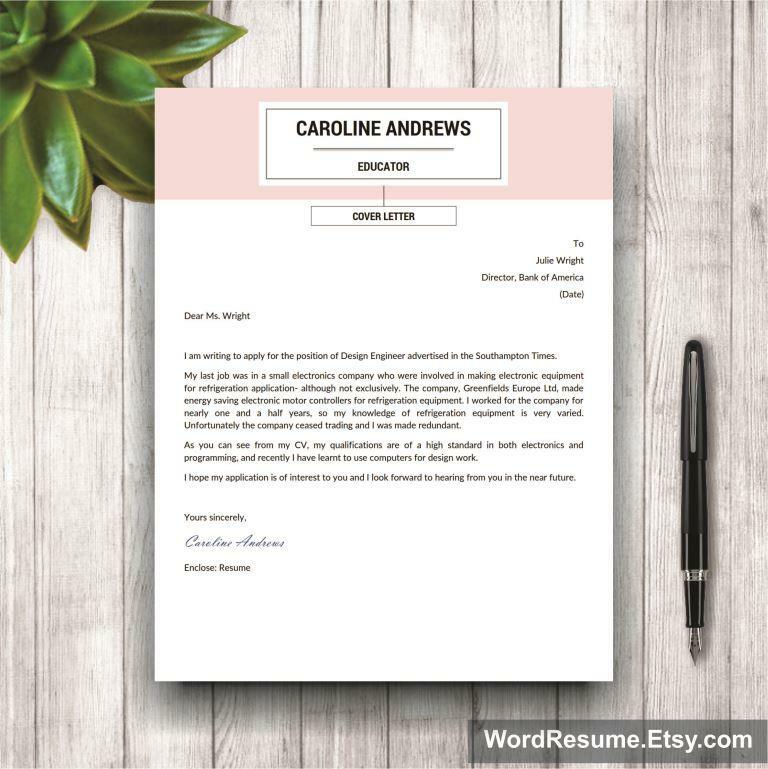 3) Open the resume file in Word. Fill in your information in the template. Add or delete sections according to your needs. Be creative if you like, and change the colors or fonts!